Southborough – John Henry Wilson, 75, of Southborough, passed away Feb. 5, 2019 at the Bedford Veterans Affairs Medical Center, after a battle with ALS, surrounded by his loving family. He was the beloved husband of Sheila (Maguire) Wilson for over 43 years. From 1984 to 2008, John was elected as the longest-serving Town Moderator in Southborough history as head of the annual town meeting. In addition, John chaired and served on numerous town committees and was actively involved in local political matters. 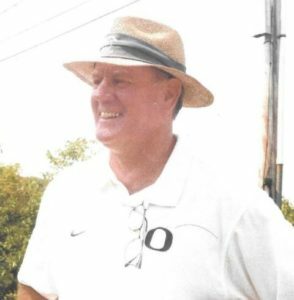 He coached many youth sports teams in Southborough and was an active member of St. Anne Church, as well as volunteering as an officer for the town Historical Society. John’s service to his country and his community are pillars of who he was and how he will be remembered by those who knew him. During his recent struggles with ALS, the outpouring of support from childhood, high school, UMass, Army, National Guard, Sudbury, Brown University, town politics, and many other chapters were a welcome reminder of a man who lived a full and impactful life. John was a man who enjoyed hearing and telling great stories, and that is a legacy that will endure. In addition to his wife he is survived by his children, Kara Yuen and her husband Way of Harwich and Thomas A. Wilson and his wife Amy of California; his siblings, Peter Wilson and his wife, Eunice of California, William Wilson and his wife Elizabeth of Ashland, Elizabeth Martin of Franklin, Patricia Swenson and her husband Paul of Concord, and Ann Wilson of Florence; a grandson, James Maguire Wilson; a sister-in-law, Donna Wilson of Maine; a brother-in-law, Leo Maguire of Florida; and several nieces and nephews. He was predeceased by a brother, Thomas J. Wilson, and his brothers-in-law, Donald Martin., Joseph, William, and Edward Maguire. Visiting hours will be held Friday, Feb. 8, from 4-7 p.m., at the Morris Funeral Home, 40 Main St. (Route 30), Southborough. A Mass of resurrection will be held Saturday, Feb. 9, at 12:30 p.m., at St Anne Church, 20 Boston Rd., Southborough. Memorial contributions may be made in his memory to the Friends of the Southborough Library, 25 Main St., Southborough, MA 01772 or Friends of the Southborough Senior Center, 9 Cordaville Rd., Southborough, MA 01772.